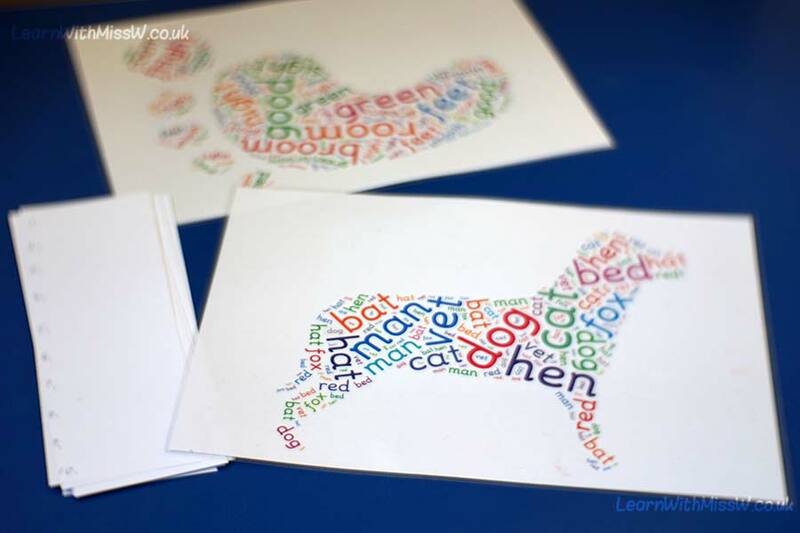 An independent reading and writing activity made with Tagxedo. I have this activity at a literacy free choice station and the children love trying to find all the words and write them in a list. I usually pick 10 words around a theme, such as a spelling pattern or words related to a topic or book. What’s great about this Tagxedo resource is there are lots of different shapes, fonts and colour themes to pick from. And remarkably it is free! Find it here, press create and enjoy: http://www.tagxedo.com . I have also been trying to make my choosing areas more minimalist, which sounds rather strange until you know why. I had a tendency to over-stock areas, especially maths and literacy tables, with piles of resources to engage the children. I think it had the opposite effect and meant that my class couldn’t figure out what to do and ended up leaving a huge muddle even after tidy up time. I’m now trying to have a smaller number of well designed activities on choosing tables that I change on a regular basis. That’s the plan anyway!